In 4-quart Dutch oven or stockpot, heat oil over medium-high heat. 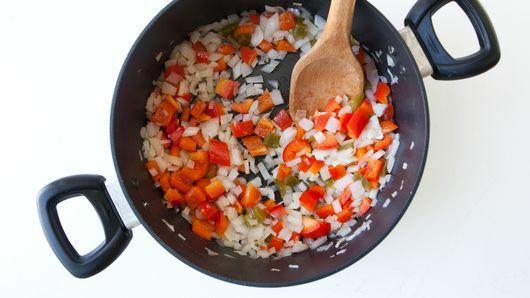 Stir in onion and bell peppers; cook 4 to 5 minutes, stirring frequently, until vegetables are crisp tender. Stir in broth, beans, chicken, seasoning mix and rice. Heat to boiling. 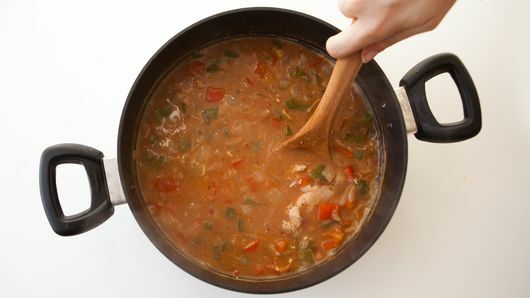 Reduce heat; cover and simmer 10 to 15 minutes or until rice is tender. 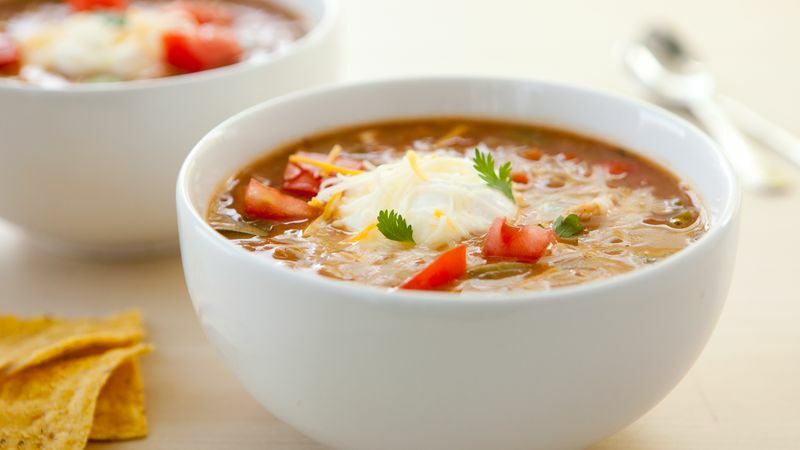 Garnish with your favorite fajita toppings, such as fresh diced tomatoes, sour cream or chopped fresh cilantro leaves. Serve with taco chips to dip into the soup.